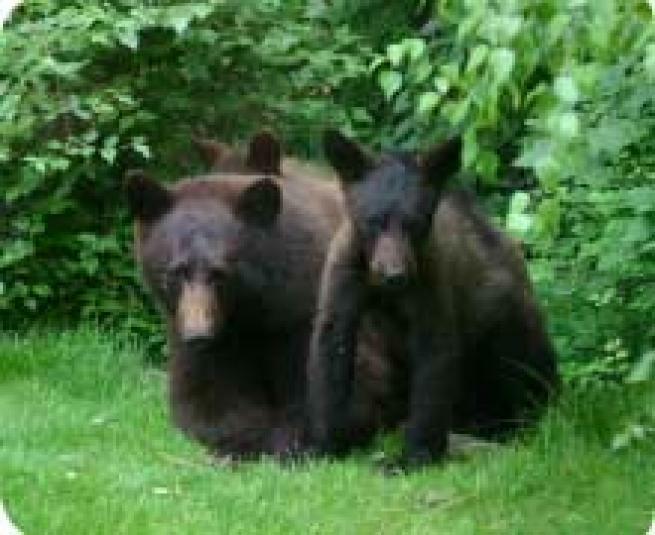 Most people tolerate bears passing through their property or the occasional night visit to an orchard or vineyard. 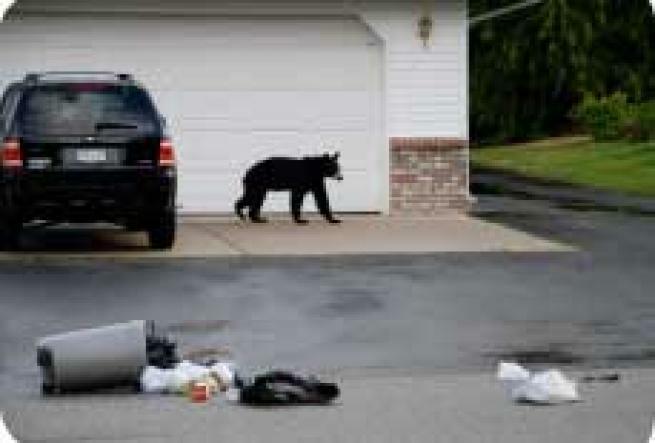 Concerns arise when bears return repeatedly and become bolder in their search for food. During bear season, Conservation Officers (COs) respond to thousands of calls about bears. Most of these problems begin when bears have easy access to non-natural food sources. Unfortunately, because there are few alternative control methods, Conservation Officers are usually forced to kill “problem” bears. Remember! If you see a bear, remain calm. Often bears will move on if they do not find anything to eat, or if they climb a tree, will come down once things quiet down. Note that Grizzly Bear are rarely seen in the south Okanagan. Keep away from the bear and bring children and pets inside. 1-877-952-RAPP (7277) or Telus mobility cell #7277. Click here to download a PDF Spotlight article about the Black Bear.